IT has taken on a pervasive role in the world economy, fostering innovation at an incredible pace. Because of this, it is hugely important to predict where the IT industry is heading in the near and long term. 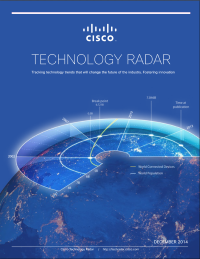 Cisco shares its vision in the Technology Radar.